Growing up, I never thought of being a girl as a disadvantage. I learned about the hardships women faced throughout history, but I didn’t think any of that was relevant to me and my life. Girls used to get married off to old men or complete strangers. They used to be forbidden from attending school. They used to be at the mercies of their fathers and husbands. They weren’t allowed to vote. They used to have to stay home to cook, clean, and raise babies, and that was all they could do. Maybe in some parts of the world those things still happened, but that wasn’t me––thank goodness. I could do anything. I was not limited by my gender. But as I’ve gotten older, the realities of being a woman have proved more complex than I thought. Even when people say they believe in gender equality, they don’t always behave that way. And people’s definition of “equality” can vary. Moving to a country traditionally dominated men has brought to the surface even more tensions about gender. Sometimes I feel vulnerable as a girl. Sometimes I feel looked down on, objectified, or undervalued. Sometimes I feel completely dismissed as a young female (young and female are both strikes here in Korea). Sometimes it makes me angry that getting pregnant would mean having to quit my job, while my male coworkers are granted three-day holidays for the births of their children. Even hearing my dad say I shouldn’t travel alone, that it’s just not a safe thing for a girl to do, makes me want to rebel. I can do anything! I want to shout to the world. How dare you try to limit me! 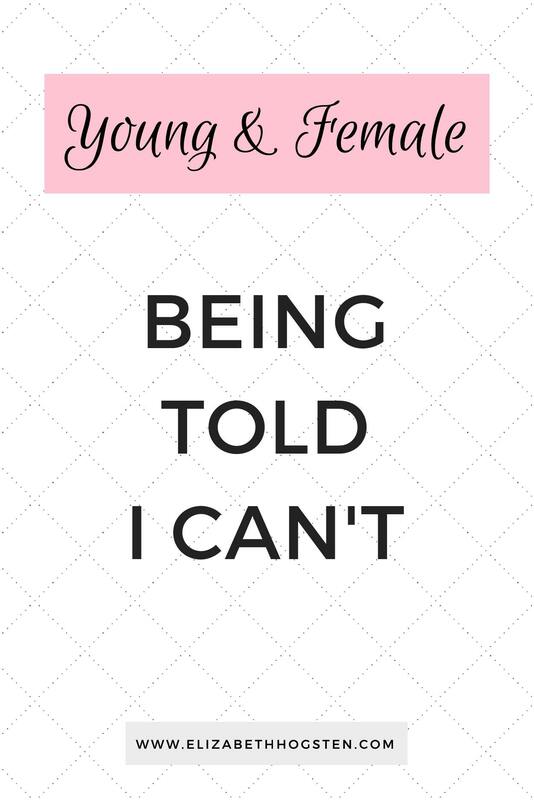 I started off wanting to write this blog series about how women are just as powerful, valuable, and capable as men. (Things I do believe.) I wanted to rant about sexism and the way even the church has been guilty of relegating women to the shadows when they were made to shine. I refuse to accept limitations! We women should refuse to accept them! I wanted to shout. But as I began to write, research, and process, I was faced with that fact that I believe in an authority higher than my own, and I needed to ask Him His thoughts on the subject. As usual, His answers turned my perspective inside-out. 1. We must all accept our limitations. Whether because of our physical, emotional, or mental make up, we all have limitations. Whether they are part of our innate design, are unjustly imposed on us, or are the product of circumstances and/or our own decisions, we all have things we cannot do or have or become. And sometimes focusing on those limitations is actually a distraction. The grass is always greener in the pasture you can’t get to, right? But right here where you are is probably something great. You are something great. You have great things. You are doing great things. Instead of focusing on what we can’t have or what has been denied to us, we should appreciate what is inside our pasture. Right now. Adam and Eve had the whole amazing garden of Eden, but they got distracted by the one thing they were told they couldn’t have. And that led to their downfall. The world may be slow to recognize it sometimes, but women are amazing. Not only do they have the capacity to love with tenderness, but they are intelligent, strong, and beautiful all at the same time. And God knows the fullness of all of our beauty and worth. He created us. He will always be our greatest champion, advocate, and protector. 3. Women are strong, but in a different way than men. My social psych professor in college emphasized the fact that men and women have more commonalities than differences. But, we were also designed differently. On purpose. A woman’s goal shouldn’t be to become a man. We don’t need to be strong in the same way men are. We should aim to be strong and confident as women. (What does that mean? Click here for further discussion of this.) It’s the same with personalities. Every personality has different strengths, and some personalities come off as stronger. But instead of trying to be someone else’s personality, we just need to be ourselves. That’s what the world needs. 4. Women are often oppressed and taken advantage of, and that is not okay. Even when girls are subtly told their voices don’t matter, God’s heart breaks. (I know because He made mine break for it recently.) He created his daughters to be clothed with dignity and strength, and like any good Father, He feels protective of them. It’s not okay to treat women as lesser. It’s not okay with Him. Yes, Adam named Eve (which would suggest authority over her), but Eve brought Adam a type of strength he didn’t have inside himself. And both were given the mandate to rule and reign. So to any girls out there who may be reading this, I just want to say: You were created to be more than a pretty face. You were created to do more than please men, bring honor to your parents, or even achieve something for yourself. You were created to bring glory and delight to the God of the Universe, and He loves to see you shine, whether that means raising children, becoming one of the few female CEOs of the world, or simply being faithful in the place He has brought you to. So keep shining. What are your thoughts on gender and gender roles? Have you ever felt limited as a woman? At an advantage as a man? Comment below with your thoughts! *My source for this technical Bible information is a chapter of Tim Keller’s book The Meaning of Marriage written by his eloquent wife Kathy Keller.